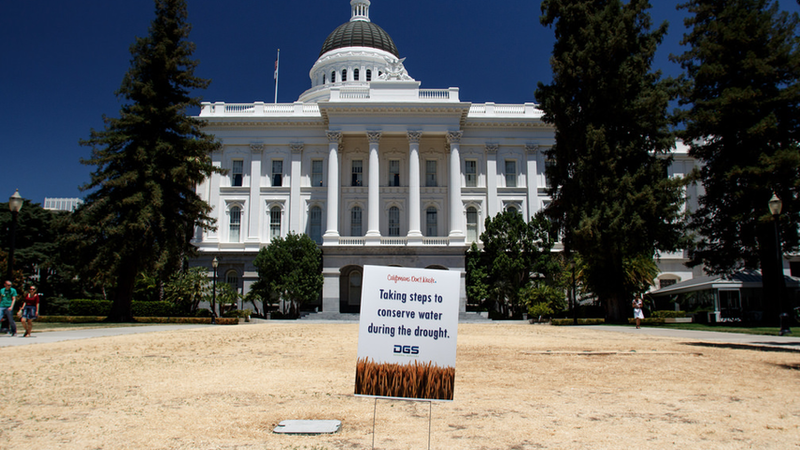 California’s water cutbacks: Good news, but at what price? So, it’s official: California’s water use dropped by 27 percent in June–the first month of Governor Brown’s mandatory cutbacks during our historic drought. Some cities even exceeded the target. That’s the good news. But there’s bad news for some Californians, hitting them right in the pocketbook! Water bills arriving in many mail boxes this week, especially in areas hit by 36 per cent cutbacks, contained drought surcharges amounting to $10 per CCF (100 cubic feet or 748 gallons) over the water budgets–based on usage during June 2013. That’s a whopping $30 penalty for using 3 cubic feet more water than you’re allotted. We all know we need to do our part to conserve water during this historic drought, and that water managers need to crack down on water wasters. Unfortunately, many Californians had already cut their water use by half when voluntary cutbacks were called for in 2013, so for them, this year’s mandatory cutbacks resulted in smaller budgets than, say, the endless- green-lawn brigade enjoyed. I’d hardly call these conscientious people “water wasters.” Their lawns are long dead, their cars dirty, laundry days limited to once every two or three weeks, and shower water collected in buckets helps keep trees alive, along with drip irrigation, gray water, and mulch. And, yep, they check the house for leaks. Still, they got fined. Their biggest mistake, it seems, is taking those voluntary cutbacks too soon, so they had less water allotted in their 2015 budgets. How’s it going for you? If you’ve found more creative ways to save water that aren’t mentioned above, how about sharing them with us? Maybe at some point, we Westerners can all stand back and look at the big picture.